The Carlton is a new impressive solid Oak Bed frame from sweet Dreams that offers a chunky and durable bed frame with Shaker style vertical panelled headboard and high foot board. 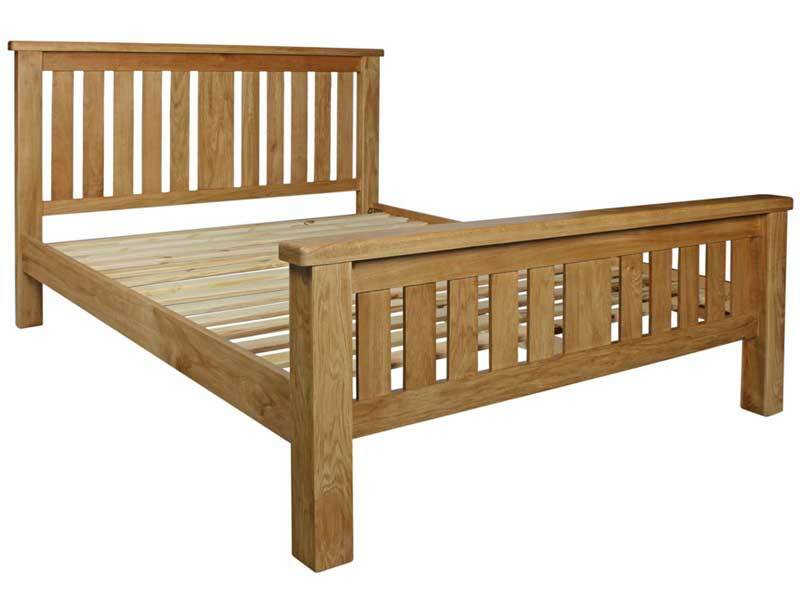 Made from solid american oak with a metal centre support rail and solid pine wooden slats. This bed frame is sure to be popular. 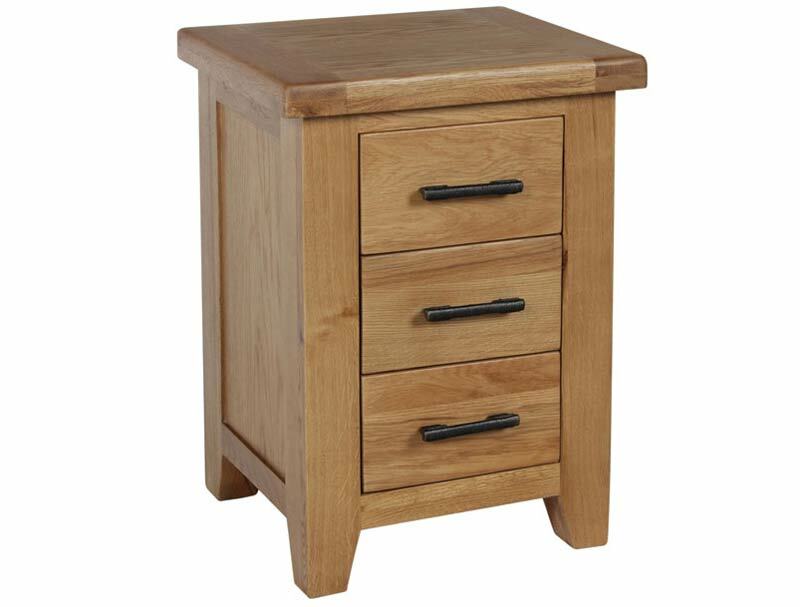 There is also a optional 3 drawer bedside to match. Delivery is Free of Charge to most areas in 5-7 working days to most areas of England , Wales and lower scotland , please note central and scottish highlands and offer p[ostcodes like LL and SA will incur a delivery charge and a extended delivery period , for more information please see delivery page. 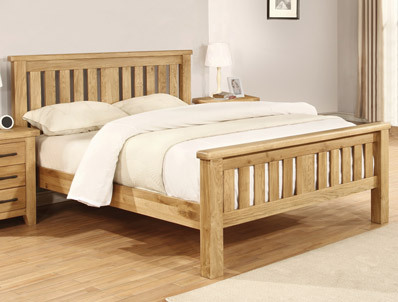 The Frame is delivered flat packed whilst the bedside which is made from Solid Oak with Mdf veneer Oak Back and top panels is delivered assembled.